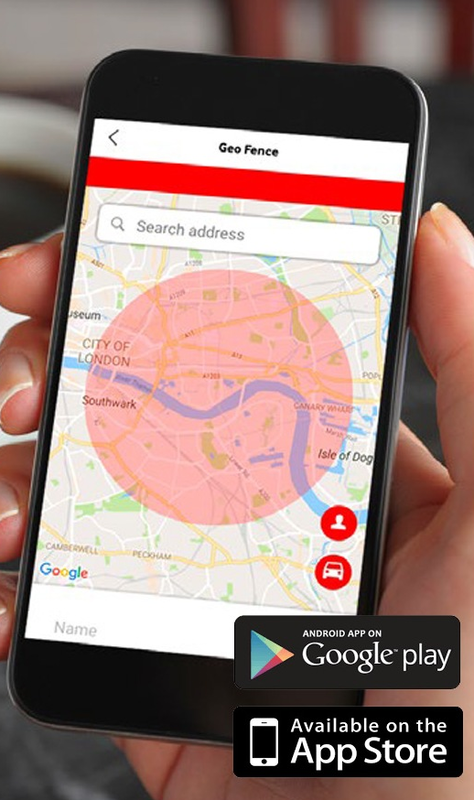 Vodafone Automotive have released a very useful app, if you wish to know where the vehicle is at any time you can simply click on the smartphone app and you get welcomed by a main screen where you enter your user selected 4 digit pin code. Then you will be presented with a Vodafone home screen stating the vehicles current location and windows below offering different types of settings and features such as Geofencing and trip reports. The device can also be used to check distances travelled and the top speed the vehicle has been driven during any drive from point A to point B. The good part I like on this system is the ability to Geofence the vehicles location meaning. If you plan leaving the vehicle on your driveway for the week during a break or work you can Geofence the vehicles location meaning if it moves you will be instantly sent an alert via your smartphone. The app works on Apple devices and it’s just been made compatiable with Android devices meaning the app can be installed on a very wide range of devices. The Fiat Ducato is a very popular vehicle with many tradesman and with almost none of these coming with any factory security it is very wise to get an alarm fitted before it’s to late and your vehicle is broken into. The laserline works very well on this vehicle due to it picking up all doors and rear doors via the vehicles can-bus system. This means the alarm reads all the data from the vehicles BSI unit for arming and disarming, and door pick ups. The laserline Can-Bus alarm has a very loud siren which is rated at 118DB @ 1 meter and complies with all Thatcham regulations. The alarm arms and disarms from the original remote key fob. Meaning you don’t have any additional remote fobs or keys. The Laserline does feature a very sleek override system unlike other alarms. You have a small touch key which is placed on the LED to disarm the alarm system in an emergancy. We supply and fit a wide range of alarm systems in Essex fully mobile to your door or workplace. Give us a call on 07525 068291 to book your vehicle in today. Or why not take a look at our other car and van alarms we offer. The Metatrak Shield appeals to the market of customers that don’t require a Thatcham approved tracking device for there insurance. The shield is aimed at the customer base which only wish to track the vehicle themselves with an ultra low cost subscription. The Shield is very slim and flat meaning it can be hidden anywhere within the vehicles interior or exterior for that matter. The unit has the option of adding on extra features such as alarm trigger feed this means the module can sit between the original factory alarm siren and trigger an alert if the siren starts sounding. This will alert you via email and on the smartphone app which is available for Apple and Android. You also have the ability to add the starter immobilisation relay on which will stop the vehicle from starting once activated. This can be controlled from the smartphone app or an additional Meta remote control which will turn it on or off depending on your choice and network coverage. We install the Meta Trak Shield and the whole range of Thatcham Cat 5 & 6 units in Essex. Give us a call today on 07525 068291. Some customers ask is this the best Thatcham Cat 5 product for there prestige vehicle, the simple answer is yes. Cobra has made an industry leading stolen vehicle recovery Thatcham cat 5 for years and its proven itself within the industry. The Thatcham Cat 5 products on the market vary in quality massively due to some of them being made in China. All Cobra products are made in Italy and there standards in vehicle electronics is the highest ever seen before. The Cobratrak 5 is by far the most reliable in the field and with health checks automatically carried out you can be assured your vehicle will always be monitored 24 hours a day and 365 days per year. The Cobratrak 5 gives a huge improvement in security over a standard Cat 6 device. It has starter immobilisation meaning if the vehicle is stolen and the police find the vehicle it can be immobilised to make sure the vehicle can’t be moved. And with automatic driver recognition cards the tracker is always monitoring who is driving the vehicle. If anyone enters and starts to drive the vehicle without an ADR card being present within the vehicles interior the tracker will send an alert instantly to head office. With Cobra you get the outstanding 3 year warranty as standard against unit faults. And the amazing part is the European coverage with automatic sim network switching. Unlike cheaper devices the unit always looks for the best mobile network and it will lock onto the strongest signal possible. Some cheaper devices only use one network and this is not good enough to recover a high end prestige vehicle. With built in anti jamming technology you simply can’t go wrong choosing the Vodafone Cobratrak 5. We fully supply and fit the Cobratrak 5 in the local Essex area by our mobile installation service. The legendary Laserline plip upgrade alarm model 278. This was the equivalent to the Cobra system 3868 but these were better due to the alarm alarm ECU being mounted inside the vehicle rather than the siren . The great part about these systems is the emergency override tag in case you loose your original vehicle remote you could still turn it off. The Laserline 278 uses a loud 120db Siren which is supported by a back up battery inside the unit. This means if the siren is disconnected while armed the siren will trigger instantly and keep sounding. The system also features nice sleek ultrasonic sensors which are white in colour and match most headlinings perfectly. The ultrasonic sensors are used to detect movement inside the vehicles cabin when the alarm is armed. These are fully adjustable so you never need to worry about false alarms. The Laserline 278 uses the original vehicle remote to arm and disarm meaning you have no extra controls to worry about when arming or disarming your alarm. The system picks up the main feeds from the central locking module and on some vehicles even the indicator flash can be used to detect the system is being disarmed by the remote and not the key. The most reliable basic alarm and immobiliser system ever made in the world. The Cobra G4693 is the new replacement for the Cobra G193 and you might be asking why is this important. In all honesty it’s not any different from a normal G193 in terms of appearance to the normal G line series. The main difference is way its installed for an installer this system is more helpful in the way of more inputs and better features were it can be customised to a higher / better level that the previous level. The controls, LED / pin override, Ultrasonics remain the same as they have done for many years. It still features a single circuit immobiliser which is very secure because even if the control unit is unplugged the vehicle still won’t start. Meaning a casual thief won’t be able to get the vehicle started . With the new loud 118DB siren you can be assured you will hear your vehicles being attacked. The Cobra systems are now also branded as Vodafone automotive and there are currently no installation instructions provided in the box due to these systems being aimed as a professional only fit product. Meta is the largest tracking system provider in the world and they have dominated the tracking world in Italy. Meta have always made solid vehicle security products even years ago when the company Smartrack first started they used Meta for all there installations. Meta have now decided to enter the UK market place with a tracker that will give you extreme quality but also the very best bang for buck. As with all tracking systems they are going to give a wide range of products depending on your requirements. 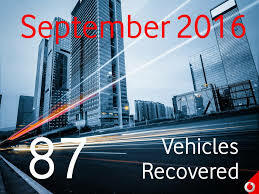 First of all the Thatcham Cat 6 unit is a stolen vehicle recovery system which will offer superior protection with on board tilt and motion along with a back up battery in case the vehicles power is disconnected. These Thatcham Cat 6 units are designed for vehicles worth up to the value of £90.000. 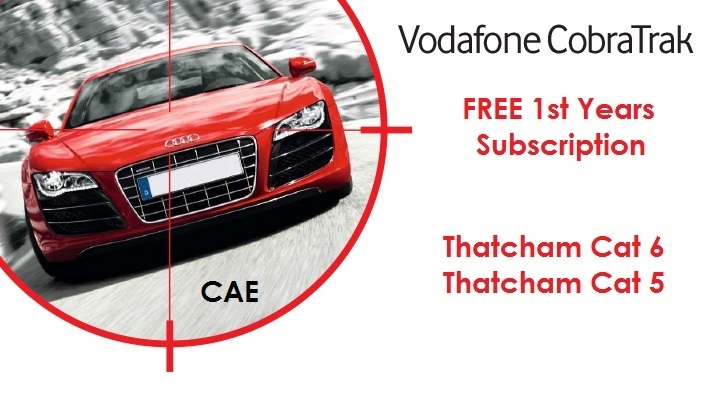 If you own a prestige car over the value of £90.000 you will normally be requested by your insurer to fit a Thatcham Cat 5 product, this is the ultimate system in the stolen vehicle tracking world. Thatcham Cat 5 has a starter cut immobilisation loop which means the starter won’t engage once the tracking head office immobilise the vehicle. The plus side to this unit is the ADR cards which are used to identify the correct driver is driving the vehicle. If for example a thief gets in the vehicle and drives away without an ADR card being present this will trigger an alert meaning you will get a call from head office. As with all modern tracking devices it will have on board jamming detection and excellent GPS ability giving exact vehicle positioning in the event your vehicle is stolen. Meta are also releasing a non Thatcham approved unit which is great for customers that wish to keep an eye on there car but don’t require a Thatcham approved unit.